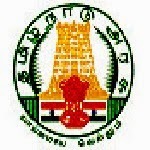 Online Application Details for Tamil Nadu Forest Department TNFUSRC Recruitment of 165 Forester and 16 Field Assistant is given below. Application form and duly attested documents are to be sent to Filled in application forms should be addressed and sent to the “Chief Post Master, Anna Road HO, Chennai-600 002” and should not be sent to the Tamil Nadu Forest Uniformed Services Recruitment Committee (TNFUSRC). In envelope super scribed with 'Application for the Post of Post Name'.